Crap WiFi in your house? Trust us, we know all about those 'dead spots' where the WiFi refuses to reach, especially through thick walls and floors. Fortunately there is a solution, and it's from a piece of technology you already possess - your power lines. Hooking up a powerline system is a great way to ensure total internet coverage, and we've recently been using a brand new set from Devolo; the Powerline LAN 1200 Triple+. We're no strangers to powerline kits, having reviewed a big tonne of them over the years. From small and portable kits for student digs, to larger models with built-in WiFi networks, they are very handy, even in smaller homes. 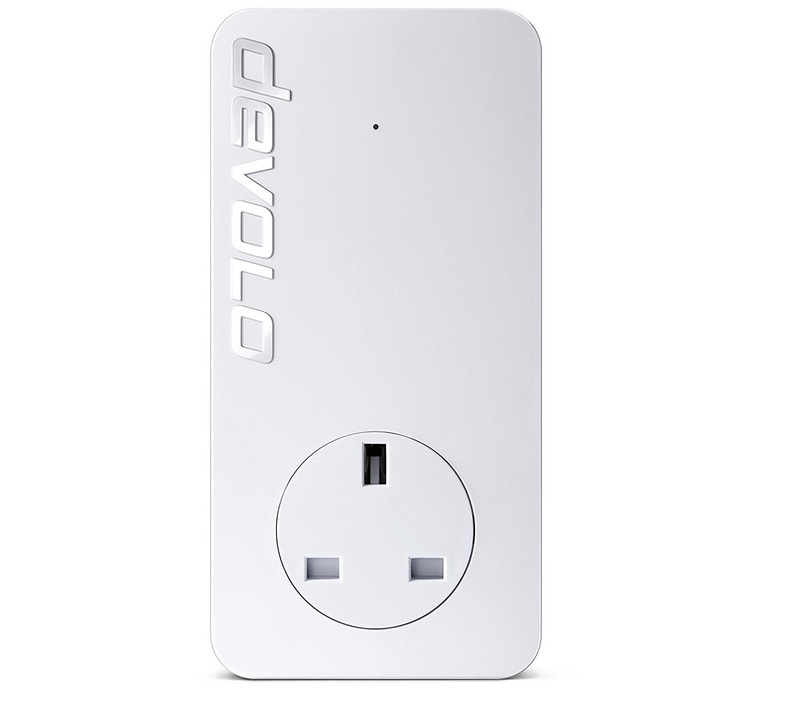 Check out a previous review of a Devolo powerline kit right here. The Devolo Powerline LAN 1200 Triple+ is unique in that it boasts three dedicated Gigabit ports on the receiving unit, allowing you to connect a greater number of wired devices. 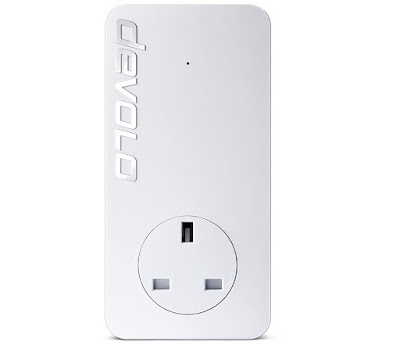 As with all powerline kits you get a base unit, which you plug in by your router (and you can use the same plug socket you use for the router itself, as these have a 'pass-through' socket on them), and a receiving unit which should be situated in or near to the room in which you have connection problems. 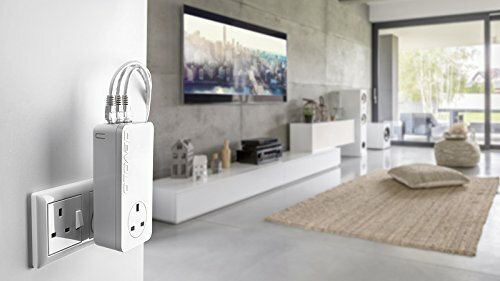 Then it is a simple case of plugging in your computer, games console or smart TV to one one the three ports, and you're away. Although we've always pushed powerline systems as a great way to combat rubbish WiFi reception, they are also very useful when it comes to the aforementioned consoles and TVs. Even if your router is relatively close to either of this kind of device, you might still experience drop-outs of signal, and stutters when loading. These are typical wireless issues, and can vary based on the layout of your house, competing signals, and type of router you're using. Having a solid, wired connection that powerline kits offer, usually eliminates this. 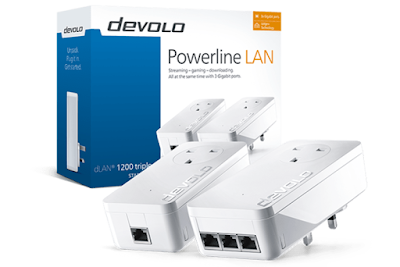 And the Devolo Powerline LAN 1200 Triple+ starter kit eliminates it to hell, because, as the name suggests, they can process data speeds of up to 1200mbps. That is more than enough for UHD streaming on a service like Netflix, and perfect for online gaming. The further you place the receiver from the base, the lower the speed will be (and all this depends on the quality of your electrical copper wiring in your house), but even over two floors and several rooms, and a wiring system that hasn't been overhauled since the '80s, we were hitting 600-700mbps. Impressive. 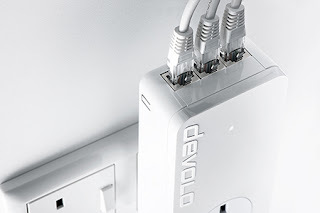 They might lack the ability to project their own WiFi network from the receiver, but the Devolo Powerline LAN 1200 Triple+ make up for it in sheer ease of set up and reliability of speed. Sure, these are fairly chunky units, and the three Gigabit ports are on the top side, which makes for a less than aesthetically pleasing appearance, but we're very satisfied with them and can see why they've already bagged a load of awards. For WiFi deadspots, and for dedicated media centres, they're awesome.